Hotel HQ is located in the suburb of Underwood, and boasts a modern and stylish function room called the Kuraby Room. The room has been newly decorated and has the versatility to cater for all events, from birthdays and other private functions through to corporate functions and wedding receptions. One advantage of the function room is that it leads out onto its own large private deck, which is ideal in the warmer times of the year, and also allows guests a space where they can smoke or get some fresh air. Other features include a pool table, private bar and plasma screens. Presentation and conference facilities are all available from the venue, including a data projector and screen, microphone, lectern for speeches, whiteboard and more. There are varied menus and catering options to suit different events, from birthdays to conferences to weddings, and also a range of decorating options provided by Hotel HQ to save guests time and money. For people looking for a Brisbane wedding reception centre on the south side, Hotel HQ has always been a very popular venue. 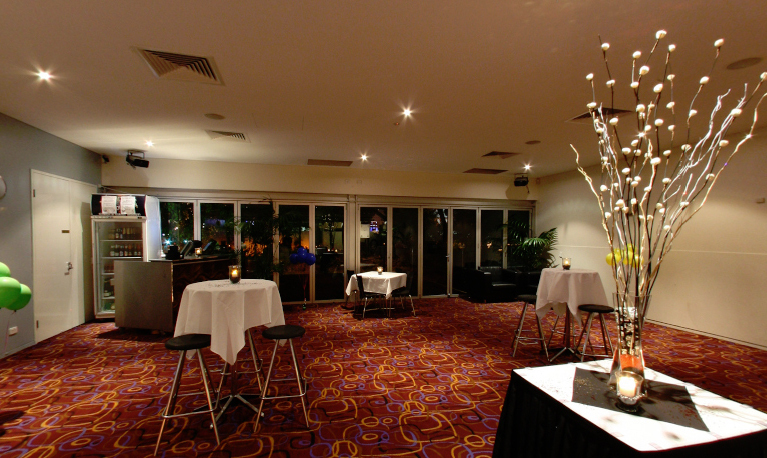 Hotel HQ offers seamless functions delivered at an affordable price, and is perfect for any Brisbane function.